Tyler Donatelli, age 14 has been dancing at Southland Ballet Academy in Fountain Valley, Ca. since she was five. She has been competing as a soloist for the past 3 years. In 2010, Ms Donatelli competed in the Youth America Grand Prix Los Angeles, CA, Regional Semi-Finals and placed in the Junior Women’s Contemporary Division and was awarded First Place in the Junior Women’s Classical Division. From there she was invited to the YAGP NYC Finals where she danced at the New York City Center in the Final Round of the competition. 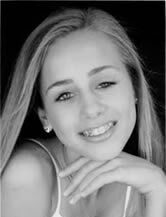 She was then invited to perform in the XV Anniversary International Ballet Festival of Miami in 2010. In 2011 Ms. Donatelli competed in the Youth America Grand Prix Los Angeles, CA. Regional Semi-Finals and won Junior Grand Prix. Again she traveled to NYC to to compete in the YAGP Finals where she once again danced in the Final Round of the competition at the New York City Center and performed in the prestigious “Stars of Today meet the Stars of Tomorrow Gala”. Tyler also toured with the YAGP “Stars of Today meet the Stars of Tomorrow ” Tour throughout the Southeastern US. Tyler went on to win the Bronze Metal in the Junior Women’s category. Tyler was then invited to dance in the Anaheim International Dance Festival in CA. this past August. Tyler has been awarded scholarships to the Kirov Ballet Academy, the Rock School of Ballet, the Bolshoi Ballet Academy, the Washington School of Ballet, Houston Ballet Academy (where she was awarded the “Teacher’s Award, inviting Tyler to return to Houston for the Summer of 2012) and the Royal Ballet School in London Summer Intensive.